Yes, Waftio can easily be added to your WordPress site! Waftio is a powerful tool to help you grow leads and boost engagement on your website! 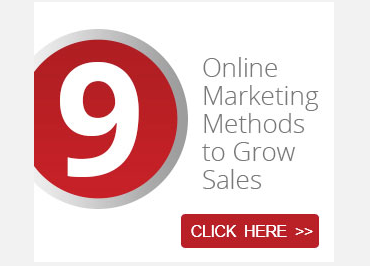 Your website is your key sales and marketing tool online. As such, it’s important to have visitors stick around as long as possible. 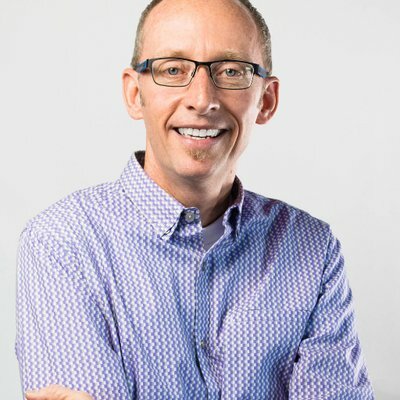 A central way to do that is to engage them, and that’s where Waftio comes in. Waftio allows you to create a lead magnet that can follow the user across your site. Have them answer a survey question and share it with their social networks. Get key visitor feedback on items that matter most with a simple form on your site. 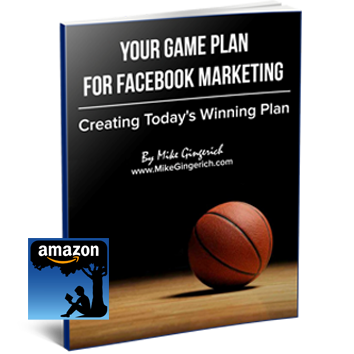 It’s simply a great way to grow leads and interact with your site visitors. Rather than a boring “contact us” or “Sign-up here box” waftio gives you a neat little form widget you can add to one page of your website or the entire website. We collect the data captured and store it for you. With integrations including Mailchimp, Aweber, InfusionSoft, and GoToWebinar, we make it seamless to add your sign-ups to your email and marketing services. There are instructions for adding a Pop-up form or a widget Tab to your site. STEP 1: Download a plugin that allows you to add Scripts to your site. 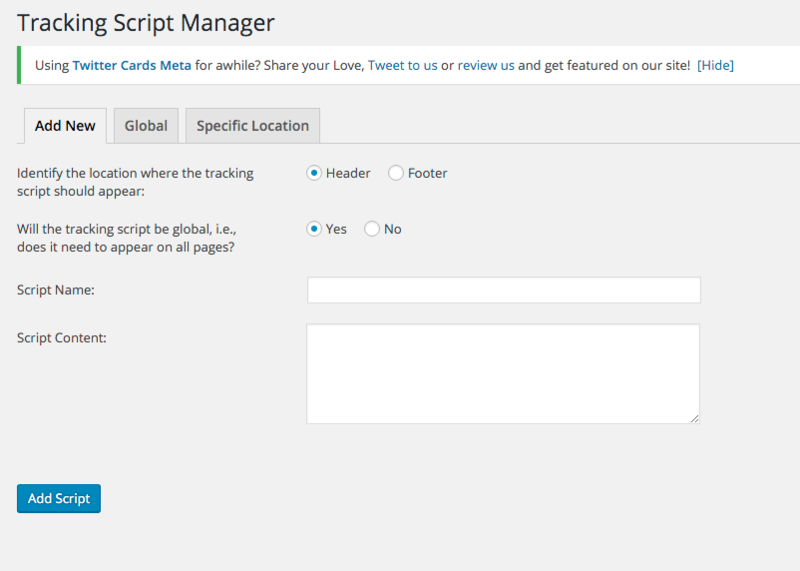 In this example, we downloaded the “Tracking Script Manager” WordPress plugin by Red8 Interactive. Other plugins that enable you to add a script code to a page can work as well. STEP 2: Complete the quick setup. I recommend adding the code to the FOOTER and then decide if the tracking code is global (across your site) or on a specific page. If a specific page, you’ll get a drop down to select the page. STEP 3: Name the Script (just for your reference so you know what it is) and then paste the Waftio embed code in the Script Content area. Finally, save by clicking Add Script. THAT’S IT! If it’s setup in Waftio, it will then show on your site! For many other sites beyond WordPress, you can simply paste the code in the header or in the footer area (not body) and it will deploy. 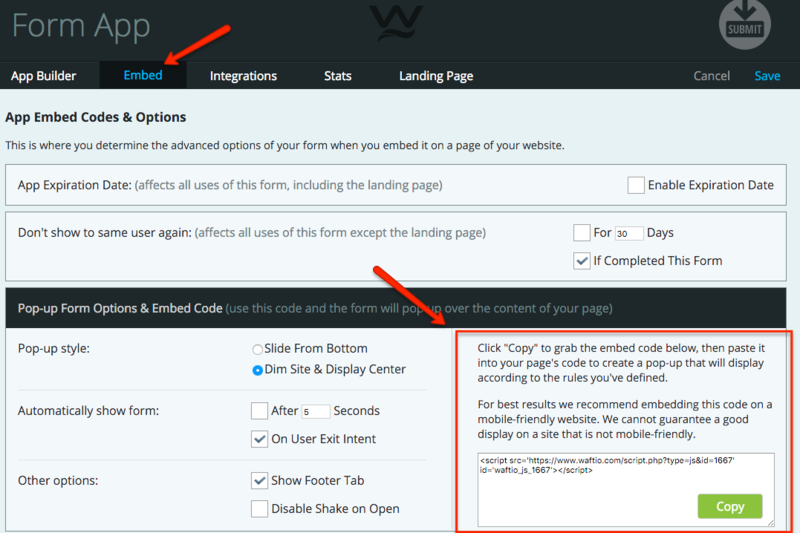 To embed a form within a page, use the “In-line Embed Code” that is below the Pop-up Form code in the Embed area on Waftio. With 70% of web visitors not returning to sites once they have visited, it’s so important to capture them the FIRST time they come. Waftio helps capture their attention. You simply offer them a resource of value and you can grow your list and increase sales! Got questions on this setup or on waftio? Leave them here!